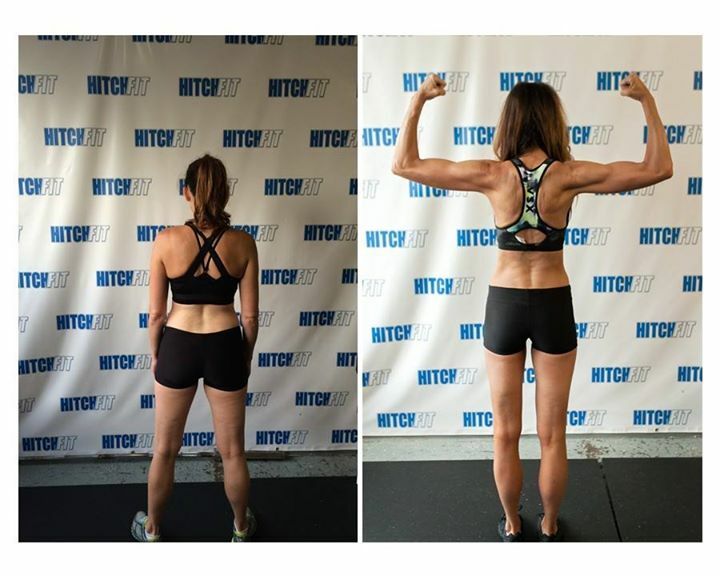 Selfless or selfish…My Hitch Fit transformation was both. Hello, my name is Tamara and this is my transformation journey. 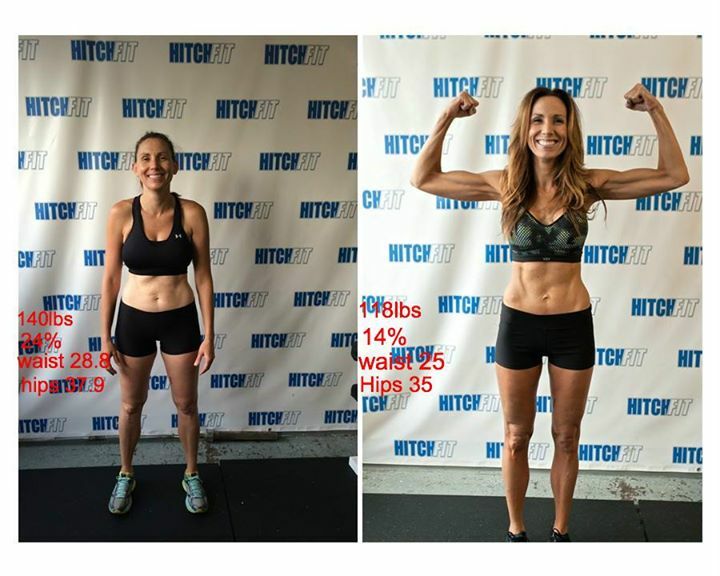 I am a wife and a stay at home mother of two young boys, who is constantly searching for balance and struggling with consistency when it comes health and fitness. I discovered running in my early 20’s, with three marathons, a couple of adventure races, a hand full of half marathons, countless 5Ks, a triathlon sprint and a Tough Mudder under my belt, I’m always searching for the next challenge. However, sometimes the greatest challenge is myself. I’m an all in or nothing at all, instant result kind of person, who is notorious for making excuses. Here I was, starting over, AGAIN. In November 2013, I gave birth to our second son and six months later in May 2014, I turned 40. During those six months, I had become complacent, started and stopped my fitness routine numerous times, I felt depleted, unmotivated and lost. Truth be told, it was time to get real with myself and make a conscious decision to stop making excuses and change the way I was thinking, it was time to retrain my mind, as well as my body. 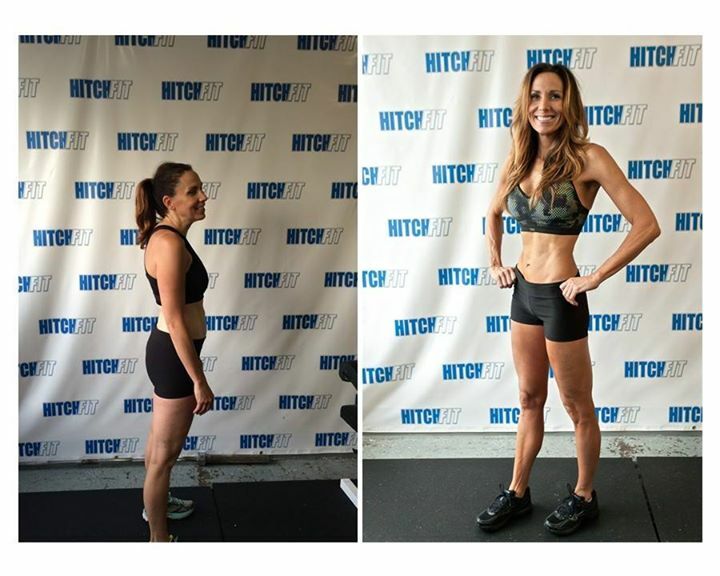 In my search for refreshed motivation and inspiration, a good friend came to me and said she was scheduling a consultation with Hitch Fit (a program I had in passing told her about) and asked if I was interested in partnering with her for a 12 week program. Note: I’m someone who believes timing is everything and everything happens for a reason, so maybe, this was it, both what I needed and wanted. Plus, to invest in oneself, is the best decision anyone can make. On June 25, 2014, I met Joel Salter, aka accountability boss, who reminded me, to be patient and trust in the transformation process and as much as I hate to admit it, he was right. And so it began, a twelve week ritual of 4:15 AM wake up calls (did I mention, I’m not a morning person, this was one of my many excuses). And it was during those early morning workouts, I started rediscovery and uncovering things about myself, not only physically but mentally, emotionally and spiritually. I began to feel a difference before I could see it, however, it was the unexpected achievements along the way that prompted me to strive to be the best version of myself. I had deemed myself a ten minute miler for life and now here I was running an 8:30 mile and for the first time setting new running PR’s, not only in the 5K but 10K and half marathon events as well. It was during this transformation, I learned, I could either be my worst critic or my greatest motivator. In reaching my milestones, I also experienced stumbling stones, which I could have viewed as failure, instead, it just made me realize how much I wanted this, not only for myself but for causes bigger than me.